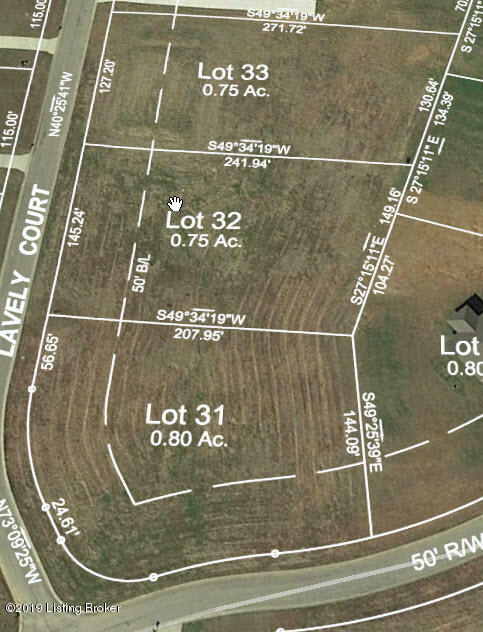 .80 Acre Building Lot in Cold Springs Subdivision Bullitt County. Lot is cleared, passed site evaluation, curb streets, underground utilities. Cold Springs Subdivision features 80 acres of green space.